Why should I, a seventy two year old Scotsman who doesn’t believe in any God, give a damn about the future of the State of Israel, or for that matter the Jewish people? “One of the conundrums associated with the enduring nature of Global anti-Semitism which has soared exponentially in recent years, is why having made such disproportional contributions towards all levels of civilization and left major imprints on science, ethics, medicine, culture and the Arts, we Jews continue to act as a magnet for such virulent hatred. 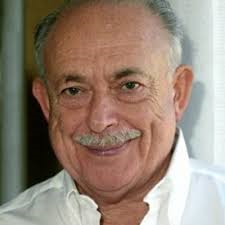 Isi Leibler’s article can be read in full here, and it is well worth the read. The anti-Semitic Jew hatred which perpetually emanates from the Islamic world is sadly predictable, and although a constant and dangerous threat, Israel and her people have repeatedly shown that they are more than a match for them, but when you combine the Islamic madness with the shameful surge in anti-Semitism from the liberal leftist progressive elite and their ” useful idiot” supporters in the western democracies, then Israel is being threatened from all sides, including her once greatest friend and ally the USA, thanks mainly to Barack Obama. Ever since the re-formation of the State of Israel was announced by David Ben-Gurion in May 1948, Israel has consistently ” punched way above her weight”, not only in her own defence, but as Isi Leibler so ably indicates, in contributing to all that is good for Global civilization. When half the worlds countries are despotic hell-holes of abject poverty, lawlessness and cultural degeneracy, Israel is an example to the world of what can be achieved by a small nation, given the will, determination and enlightenment to do so. So that is part of the reason why I believe it is essential to support Israel and her people. Another important reason why the worlds non-Jewish democracies should support Israel is perhaps less altruistic, more pragmatic, more driven by self interest, but none the less valid. I like to think of Israel as a modern Sparta. When Leonidas led a small force of Spartans at the battle of Thermopylae in 480 BC, it was in defence of Athens, the mother of democracy, against an invading army of Persians under Xerxes. Today it is Israel who stands in the way of yet another invading Persian army, hell-bent on the destruction of the State of Israel, and democracy throughout the world. Israel’s fight for survival is everyone’s fight for survival, and if for no other reason than self interest the worlds democracies should stand in support of Israel. My own preference is to support Israel for no other reason than, it is simply the right thing to do. When I joined Yaakov Kirschen, the Jewish cartoonist’s campaign against anti-Semitism, they kindly sent me a cartoon with the words “ You don’t have to be Jewish to love Israel ” written across it. Some might say it was merely a nice gesture, but it is a gesture I take seriously, and it hangs on the wall behind my computer to remind me that we either stand together, or we fall together.